Laun­ched by Nevil­le Bro­dy and Jon Wozen­croft in 1991, FUSE was the ground-brea­king publi­ca­ti­on that took design and typo­gra­phy into radi­cal­ly new and unfo­re­se­en spaces. The major influ­ence of its revo­lu­tio­na­ry and expe­ri­men­tal approach to typo­gra­phic lan­guage rever­be­ra­tes still, and today—twenty years after its launch—the explo­ra­ti­ons car­ri­ed out by some of the most famous and influ­en­ti­al names in the indus­try stand out as futu­ris­tic and ahead of their time. To com­me­mo­ra­te the release of issue 20, TASCHEN brings you a com­ple­te com­pen­di­um of all the issu­es. 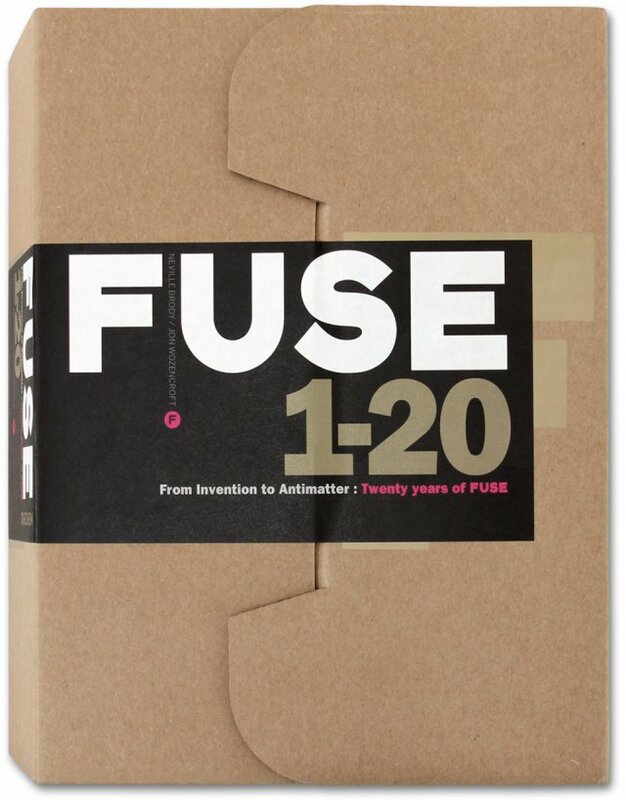 Exclu­si­ve to this publi­ca­ti­on are FUSE19 and FUSE20, two new­ly-com­mis­sio­ned and never-befo­re published issu­es, in the form of 10 A2 pos­ters and 24 down­load­a­ble fonts, making this boxed edi­ti­on a collector’s item. This is the lega­cy crea­ted by the best con­tem­pora­ry thin­kers on typeface design: the list of con­tri­bu­tors to FUSE reads like a who’s who of typo­gra­phic design, from Erik Spie­ker­mann to Ste­fan Sag­meis­ter, Peter Savil­le, Jona­than Barn­brook and Tobi­as Fre­re-Jones, plus many more. Edi­to­ri­al con­tri­bu­tors inclu­de Adri­an Shau­gh­nes­sy and Jon Wozen­croft.